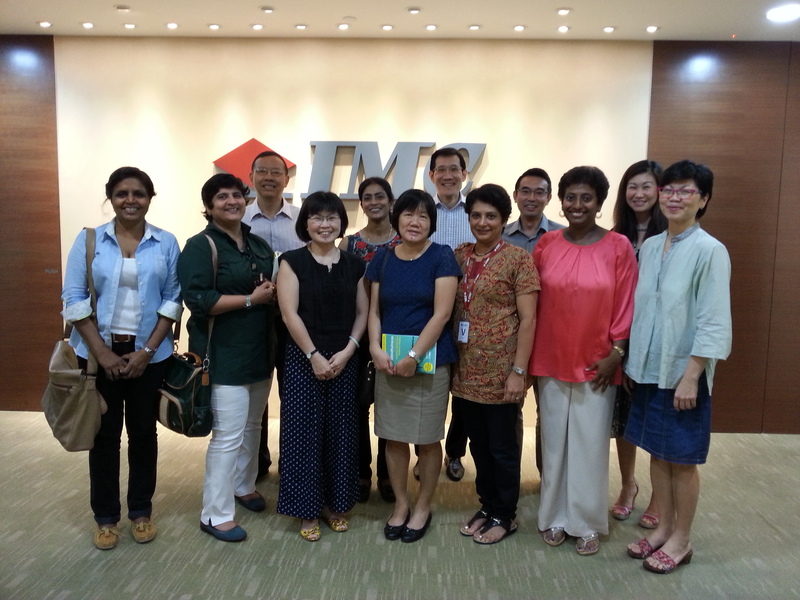 TME is developing a team of workplace trainers for East West Learning Centre (EWLC), which is a project set up by the shipping company IMC, in Singapore. This is also linked to a project in Shanghai, which we also visited as part of business development work in May, 2014. The team are coming together each week to discuss their experience following a self-study programme, based around the course in Mindfulness: A Practical Guide to Finding Peace in a Frantic World. Further face-to-face train the trainer training with TME is scheduled later in 2014, followed by teaching practice in 2015. Fruitful discussions have taken place with The Singapore Health Promotion Board who are interested including TME/EWLC training on their health promotion work in the workplace. Jochen Reb, a leading researcher on mindfulness in the workplace, from Singapore Management University has also expressed interest in carrying out studies on this work.